OptiStyle Optikai Szalon | Hogy a szemüvegválasztás élmény legyen! The Optistyle Optical Salon, the sole artistic optical shop in Hungary or even in Europe, is found in the heart of Budapest, in District 2. Here, you can choose from the trendy spectacle frames of the greatest global brands in a discreet environment, and with the help of our spectacle stylist you will find the harmony between your personality and appearance. You will be welcomed in an exclusive environment with pleasant piano music, a delicious coffee or tea and chocolate, and our staff will help you select the right spectacles with maximum attention and complying with all rules of the business protocol. In possession of the title Varilux Master of Vision, we are dedicated to premium quality and full satisfaction of individual needs. We are aware that glasses are a determinant part of everyday elegance. In our optical salon, thanks to the VisiOffice system, you will have the opportunity of eye measurement based on 4D technology. 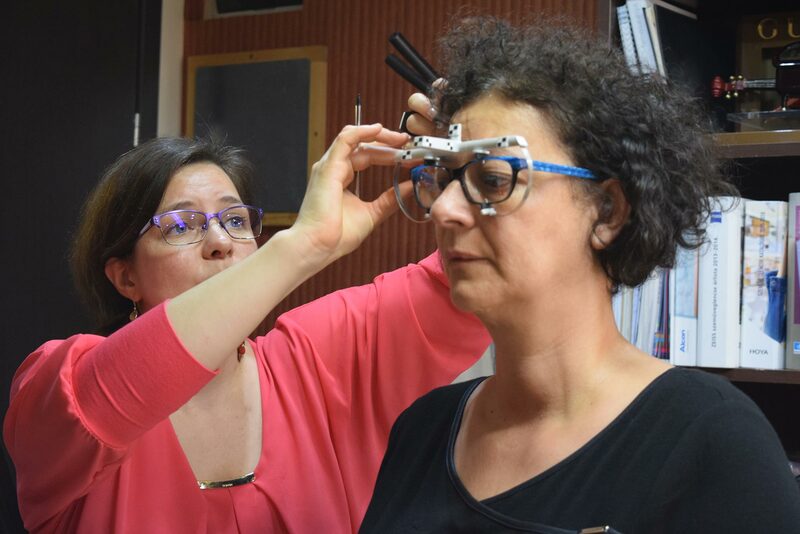 With the help of this measurement, we will make individual progressive lenses for you using a revolutionary process, which will provide you with a perfect experience of vision again. Get acquainted with the advantages of 4D eye measurement and progressive lenses in detail. Bring your child to our shop where the little ones are received by a children’s ophthalmologist with infinite kindness and patience. We adapt ourselves to your timetable. Contact us, please, at phone number +36 20 438 8468 for an appointment, and you will be kindly welcomed. Visit in OptiStyle Optic Salon.